Donald Trump and Senator Reid…. not a likely combination in anyone’s opinion. 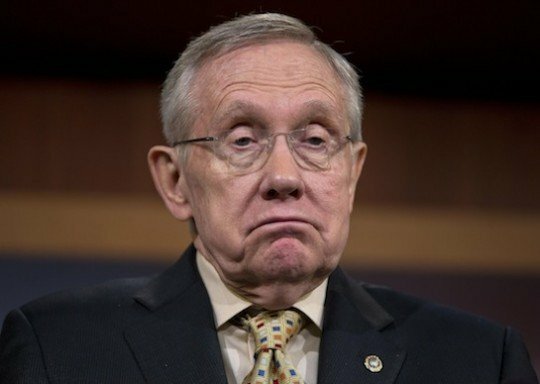 Senator Harry Reid is, to many right wing conservatives, the embodiment of everything they disagree with. And yet in his final speech he was not quite as contrary as many of us expected. He is retiring and took this opportunity to go over his legacy and his goals. The speech was over 90 minutes long and is included below, but be ready to buckle in if you want to listen. What was most shocking, however, was his discussion of President-elect Donald Trump. “I have to say this — he’s not as bad as I thought he would be,” he said. And it just got crazier from there…. “We heard from Trump that one of the first things he was going to do is repeal [the Dreamers] executive order. In an interview he had with Time magazine in the last day or two, he said, ‘Nah, I’m not going to do that’ — those young people deserve to stay here,” Reid told NPR. “He’s not going to prosecute Hillary Clinton criminally, as he said he would do. Obviously he didn’t believe in all of the stuff he said — which is a step in the right direction,” the senator said. “It’s not as if I have hate in my soul for Donald Trump. I hope, beyond all, that he does well. It’s important to the stability of this great nation we have. And I’m hopeful — I keep using that word, but that’s what it is — hopeful that he will lessen his rhetoric and work toward a safer, more productive America,” he said. Way to step up, Harry.